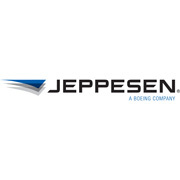 Jeppesen, a part of Boeing Commercial Aviation Services, recently added new features and expanded European coverage areas for Jeppesen Mobile FliteDeck VFR on iPad. Enhanced app capabilities include new VFR enroute data for Spain and Croatia/Slovenia, data-driven auto zooming for real-time accuracy and software improvements to drive flight efficiency. Additional enhancements included in Mobile FliteDeck VFR version 1.5 also include improved airport, navaid and waypoint search capabilities in Europe, download management capabilities and significant performance improvements for iPad 2, iPad 3 and iPad mini. The addition of European Mobile FliteDeck VFR coverage into Spain and Croatia/Slovenia adds to recent VFR coverage expansion into Italy, Belgium, the Netherlands and Luxembourg coverage areas. European Jeppesen VFR enroute data is now offered in Ireland, Denmark, Poland, the Czech Republic, Slovenia, Croatia, Spain and Portugal through Mobile FliteDeck VFR. For Jeppesen customers subscribing to the Mobile FliteDeck VFR ‘all available countries’ option, VFR enroute data is provided at no additional charge.